I decided to put today's post together because I realise that no matter how good you are bonding Rhinestones and studs to your client's nails, there will always be one that I swear will have them unattached before she gets into her car from leaving your nail desk. I have to say, I am one of those people so I need a fool proof method as there's nothing worse than looking down at your nails and seeing where they used to be. My method isn't anything ground breaking but I gives me the sparkle I need without worrying that they will be gone and spoil the overall finish. They're not going to look exactly like a Swarovski crystal but they'll give a good illusion without a single chance that it will fall off. 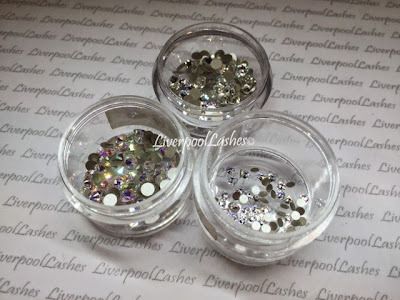 So firstly for the rhinestones, I will use a particularly method, depending on the coloured stone I want to achieve but typically it's the clear stones so I would use silver. 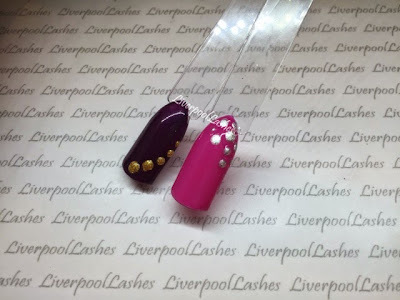 I will do the full design, whatever I need to do and finish with a cured top coat. I will then use a dotting tool to apply CND Shellac Silver Chrome to add dots to where I want my stones to be, which I will then cure. 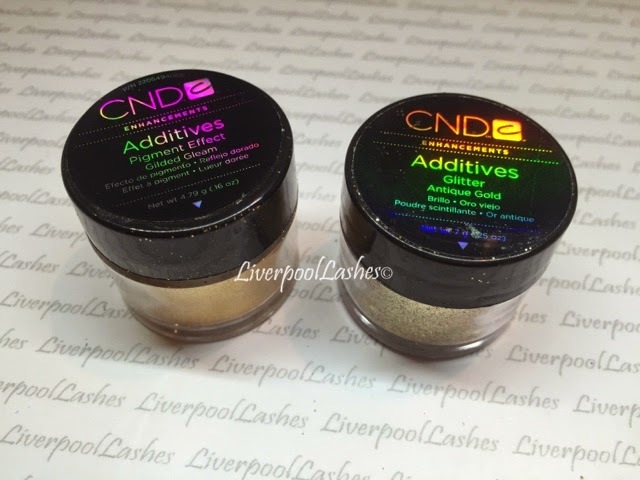 I then mix a glitter paste using top coat and two CND Additives in Shimmer Silver and Denim Geode in fairly equal amounts. The chunkiness of Shimmering Silver will help give the appearance of the angles of a rhinestone and the Denim Geode will help fill in the gaps in between the Shimmer Silver as it's slightly finer. 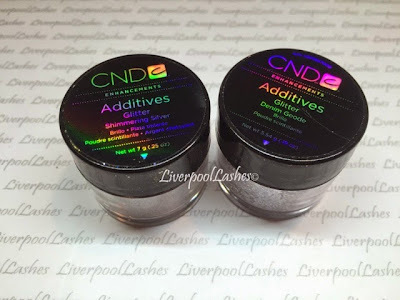 I will apply this glitter paste over my Silver Chrome and try to keep it so that it sits raised on top of the nail, curing in stages as I apply them if I need to so that they don't fall back flat. As they are made from top coat, I then just remove the sticky layer and they're done. 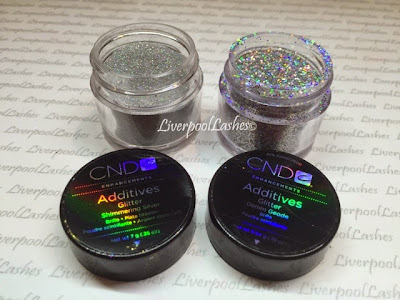 My reasoning behind doing the Silver Chrome first is because if you do glitter paste dots alone, then they can often leave gaps between the flakes and you can see the colour underneath but I want a definite roundness to it. I also applied the top coat before I started to create it as if you do it afterwards, it will fill in that raised area around the stone and make it looked like it's more of a hill on the nail than something attached to it. 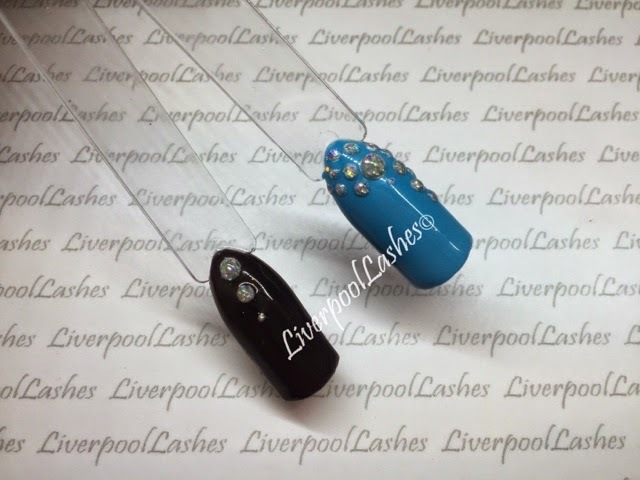 Obviously if you want another coloured stone I would use the relevant coloured back and then chose an glitter and a fine CND Additive to fill in the gaps around it. So onto the studs, I have two methods that I do these and it really just depends on the materials you have to do them. 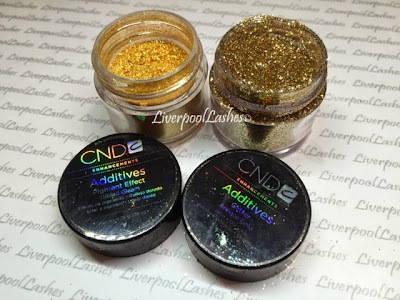 If I do them in gold I will literally make them as I did with the rhinestones only I use CND Additive in Gilded Gleam and a slight amount of Antique Gold to make it a little more eye-catching, along with CND Shellac in Locket Love for my base. I will also make them less prominent compared to the stones.